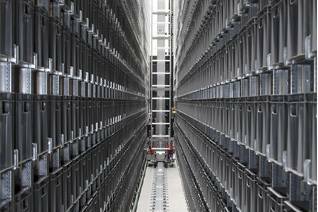 The Drive in racking system is a high density storage solution that maximizes available space and height in the warehouse by reducing the forklift operating aisles. It is made up of an easy-to-assemble and -reset modular structure, which makes it easy to maintain. 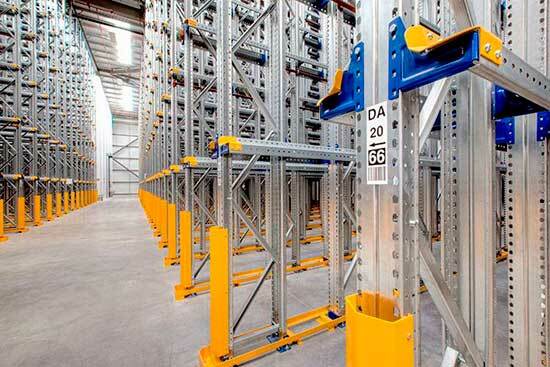 Compact storages can be either Drive in racking, with only one access aisle, where the last load in is the first one out, or Drive through racking, with an entrance and exit, where the first load in is the first one out. This compact system is appropriate where space utilisation is more important than selectivity of stored loads. 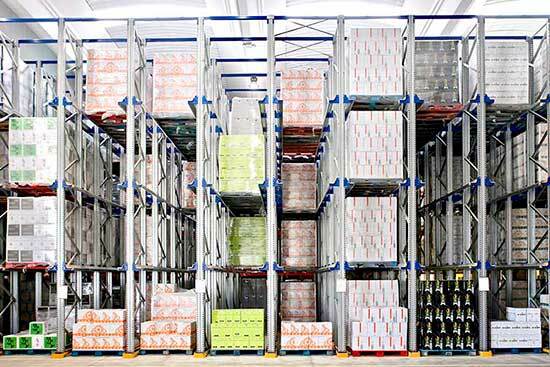 The Drive In racking system is the ideal solution for storing products of the same type with a large amount of unit loads per SKU. 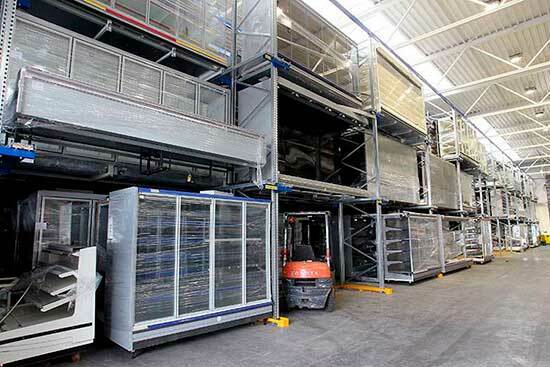 It is a high-density pallet storage system designed to maximise the cubic space available by minimising the operating aisles needed for trucks. The system only needs one access aisle. The last load to enter is the first load to be removed. This solution requires two access ways, one on each end of the system, since the first load to enter is the first load to be removed. 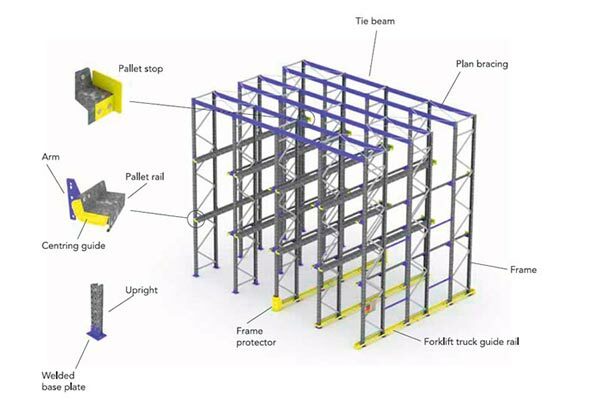 The Drive in storage system is made up of sets of frames and vertical uprights joined together to form inner lanes. 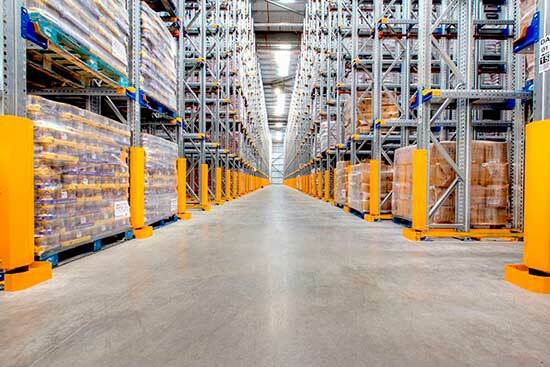 Each lane is equipped with support rails on both sides, laid out at different levels, on which pallets are placed. For loading and unloading operations, the forklift truck enters the lanes with the unit load lifted above the rail where it will be placed. 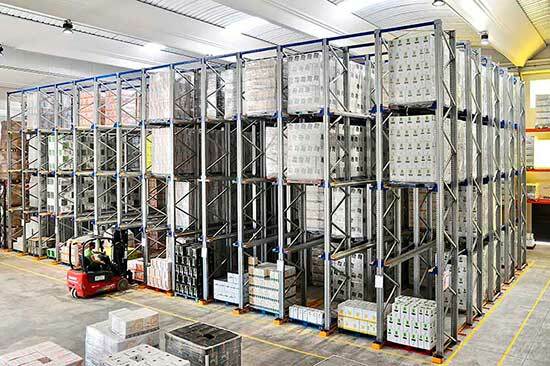 This compact storage system allows as many SKUs as loading lanes. 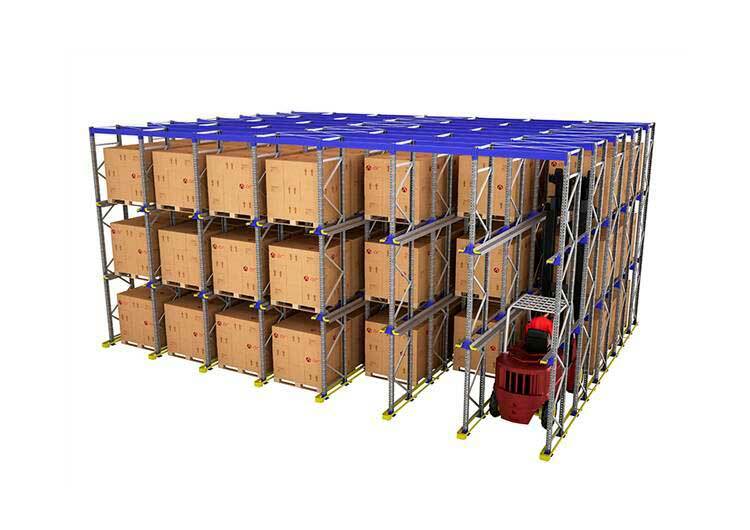 Depth and height are dependent on the number of pallets to be stored. Low maintenance and low assembly costs make this system one of the most cost-effective systems. Structure compatible with other storage systems. Provides maximum performance, and utilisation can be over 80% of the available space. Enables clearly arranged logistics management with full control of inventories as well as traffic and service flow. Designed to allow for quick reconfiguration of the structure for extension or change as needed. Ideal for storing low-rotation loads of the same type. 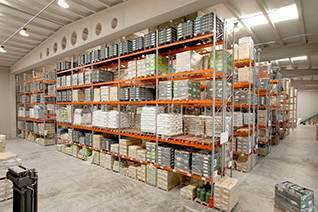 Eliminates the service aisles found with a conventional pallet racking system. Maximised storage floor and height. Trucks enter the system for loading. Includes various accessories to increase safety. 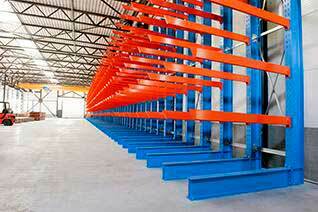 This type of racking is designed to store pallets in a mechanical and functional way using forklifts.